On the surface, the 2018 calendar year may have seemed a bit slow when it came to hockey cards and collectibles. Only one company makes licensed NHL hockey cards, so there is no real head-to-head competition. Still, that didn’t stop one card company from foiling the plans of another. Plus, there was plenty of competition in a record-breaking auction. 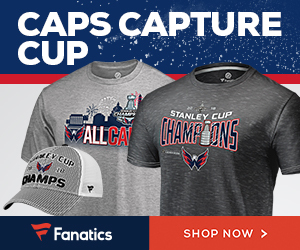 A few other significant happenings took place in the world of hockey collecting. 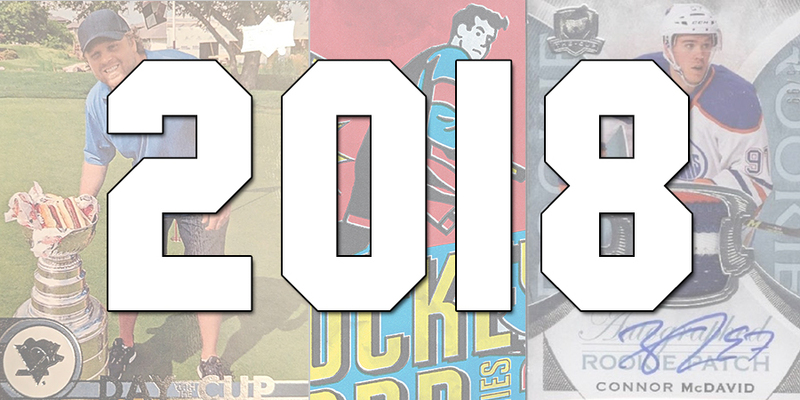 Here is my list of the top hockey collectible stories for 2018. When the 1993-94 hockey season started, the Leaf Trading Card Company entered into the foray and released several hockey card sets. The company chose a rather significant superstar as their spokesperson – Mario Lemieux. 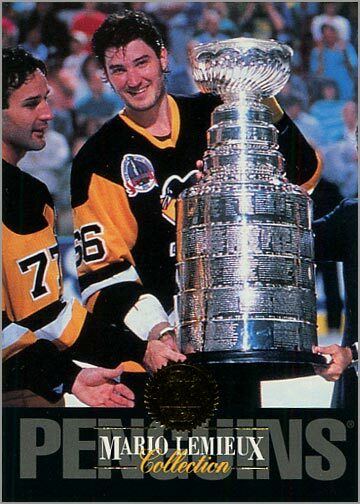 As a Pittsburgh Penguins fan in the early 1990s, it was exciting to see Lemieux heavily featured in all of Leaf’s promotional material. Given the health issues he faced the previous season, seeing Lemieux look so vibrant, and featuring him in his own 10-card insert set, seemed like a fitting tribute to my hero. What can I say? 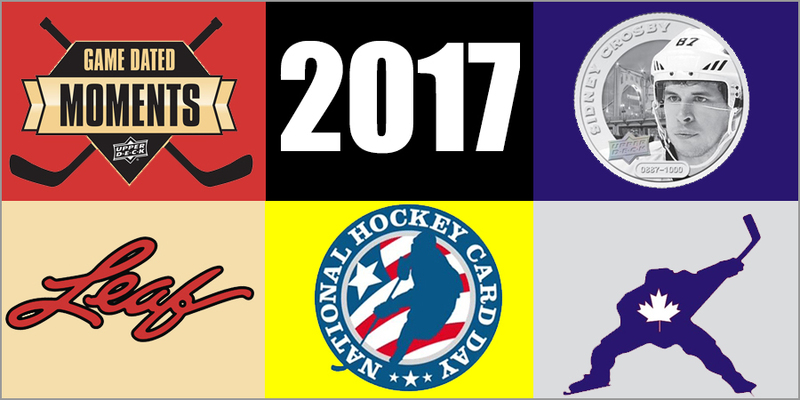 2017 was a bit of a slow year for hockey collectibles, especially when compared to 2015 and 2016. It took me and three friends a while to brainstorm, but we finally came up with a list of the 10 most-significant hockey collectibles stories for 2017. 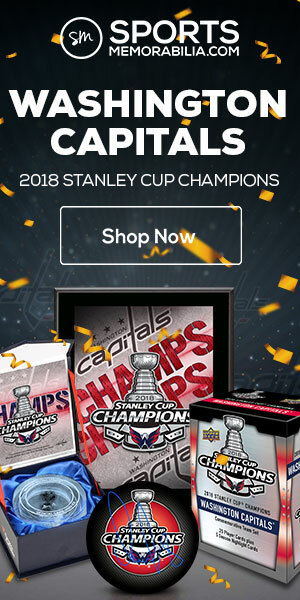 If you live in the United States, then you know how frustrating it can be to find hockey collectibles at your typical sports card show. 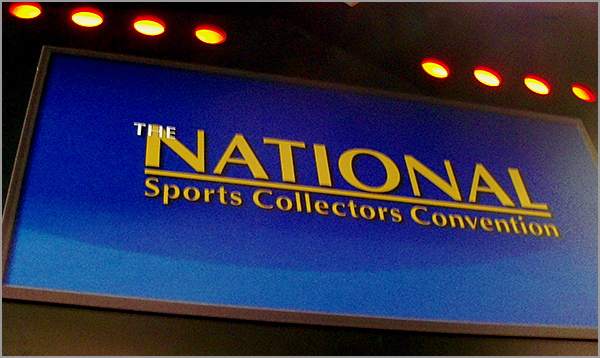 In 10 days from now, The National Sports Collectors Convention — a.k.a. “The National” will return to Chicago, and it is anything but your typical card show. It is the largest sports collectibles convention in the world, taking place July 26 to July 30, 2017 at the Donald E. Stephens Convention Center. The National probably won’t have as much “puck junk” as the Fall Expo or Spring Expo, since those shows are in Toronto and feature a hockey-centric lineup of autograph guests. Nonetheless, if you are a hockey collector, you can still get a lot out of The National. I’ve attended this show when it was in Chicago in 2008, 2011, 2013 and 2015, and always enjoyed myself and found a lot of great hockey items, despite the seemingly endless amount of non-hockey memorabilia. 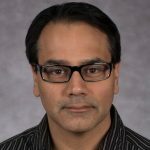 So, here is my guide for hockey fans attending this year’s National. Seek, and ye shall find. Player not working? Listen to this podcast on SoundCloud. Perhaps the design was bad. Or maybe it had a stupid name. Or the idea behind it was just dumb. 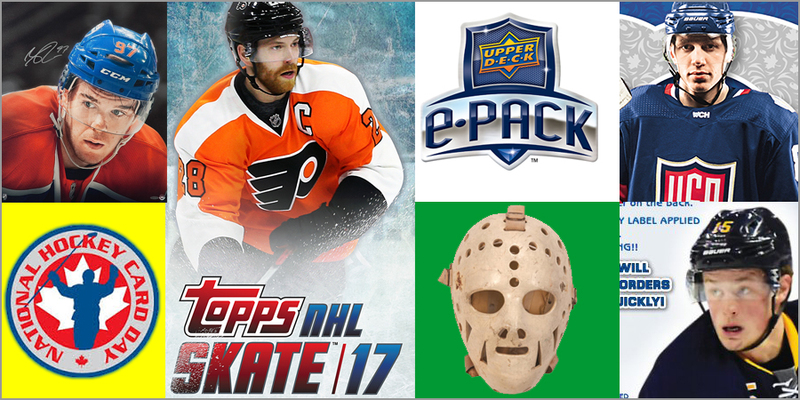 In this podcast, Tim (@therealdfg) and Sal talk about the the worst hockey card insert sets from the 1990s. Podcast #21 is 51 minutes of hockey card nostalgia. Here’s a list of every set we talk about, with links to card images. 1994-95 Be A Player (pictures) – no it isn’t an insert set. We know. 1997-98 Donruss Priority (pictures) – lots of dumb inserts in this set. …but due to a recording glitch, we lost the part of the podcast where we discussed them. Stupid Skype! But you know we just loved making fun of talking about Ice Quake — which sounds like a member of the X-Men — and Livin’ Large, yo. Podcast intro music by Jim “Not the Goalie” Howard. Happy New Year! With the holidays and other obligations requiring my focus over the past few weeks, I needed to take a little break from Puck Junk and turn my attention elsewhere. But now I am back on track and ready to start writing about hockey goodness once again in 2017. Before we get on with the new, I thought it would be good to take a look back at the year that was 2016. Yes, a lot of cool people died — rest in peace, Princess Leia and Ziggy Stardust — and a mean Oompa Loompa was elected as U.S. President.